Many couples have interesting stories about how they met: online, through friends, a chance encounter at a party. For the doctors Birriel (he is T. Javier, MD; she is Lillybeth, MD), the seven-year-married couple’s journey crisscrosses numerous states and several countries. As the program neared its end, the two finally got together at a social gathering—and they clicked. Following Prague, their long-distance romance continued. They relied on social media (and their European phone connections) to stay in touch. And, although they ultimately returned to their respective medical schools, they traveled to each other’s locale when they could. In one instance, it was a lot like speed-dating: they met up in Puerto Rico while Javier was on a six-hour layover for another flight! Things settled a bit after Javier transferred to Lillybeth’s school for his final years of education. 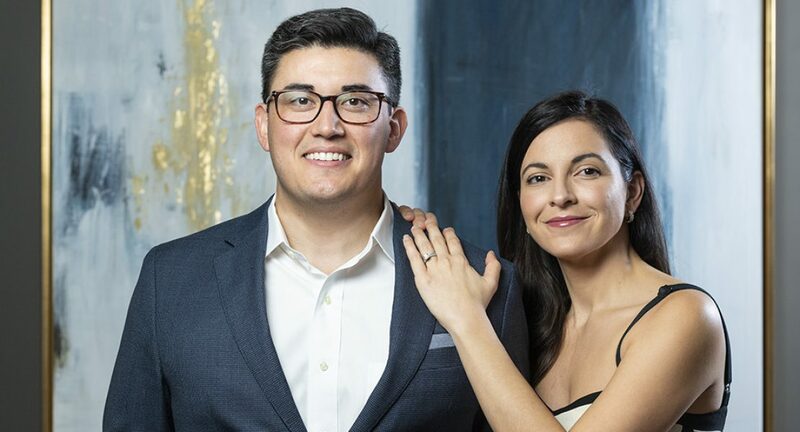 Javier proposed in 2011­—just in time for the couple to start their residencies. He chose St. Luke’s for general surgery; she opted for family medicine at Penn State’s Milton S. Hershey Medical Center. They married in 2012, and Lillybeth moved closer to the Lehigh Valley and commuted to the Hershey Medical Center. She joined him at St. Luke’s—as a family medicine physician—in 2014. Although they didn’t originally set out to work in the weight management field, Javier became interested in bariatric surgery during his clinical rotations and chose that as his specialty—leading to a one-year fellowship program at The Cleveland Clinic. Javier’s practice involves major surgery, while Lillybeth’s relies on changing dietary, behavioral, and activity patterns. From time to time, though, their patients can overlap. Lillybeth might suggest someone to Javier as a possible candidate for surgery. And if a post-procedure client gains back some weight, Javier can call on Lillybeth to help the person get back on track. The Birriels’ home life isn’t that much different from those of other young professionals. That is, it gets busy! “It works the same way for me,” Lillybeth says. “Sometimes, I must leave to attend a seminar or meeting. And I was often on-call in my family practice as well,” she says. The Birriel household is rounded out by their French bulldog Beau, who joined them about four years ago, and their latest addition—two-year-old son Paxton. And those aspects of their lives aren’t that much different from those of other young professional couples.